OregonLive reported that some people could feel the tremor. 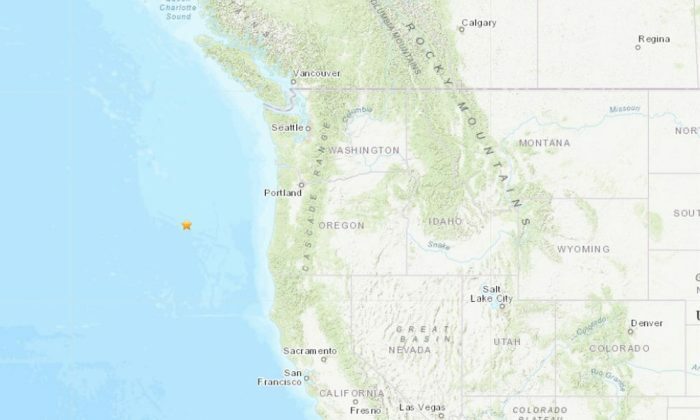 The Pacific Northwest Seismic Network says that earthquakes with a magnitude of 4 or higher are felt by humans and might cause damage or injuries. “All amplitude-based magnitudes rely on a base-10 logarithm of the peak amplitude measured by a seismograph. This is because there are many factors of 10 difference between the smallest and largest amplitudes of observed ground motions. An earthquake that measures 5.0 on the Richter scale has a shaking amplitude 10 times larger and corresponds to an energy release of 31.6 times greater than one that measures 4.0,” the network says. 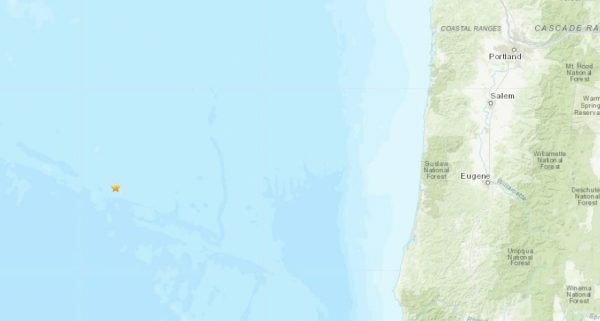 Last year, five earthquakes hit off the coast of Oregon in a 24-hour period, and the largest was a 4.5 on the Richter scale. Before that, hundreds of miles to the north, three strong earthquakes hit off the coast of British Columbia, Canada. The tremors were centered in the Pacific Ocean. Geophysicist Amy Vaughan told The Associated Press at the time that there may have been some other aftershocks. Vaughan says the quakes were felt onshore. No injuries were reported, she said at the time. Last year, a report said that a 9.0 earthquake could hit off the West Coast of Canada, which could kill thousands of people and trigger massive tsunami waves around the West Coast of North America. What’s more, the waves could even make it to Japan. It’s only a matter of time, they suggested. “It’s difficult to predict when it will happen again. We do know it’s occurred about 20 times in the past 10,000 years,” Dr. John Clague, an earth sciences professor at Simon Fraser University, told GlobalNews Canada. The report made reference to a 9.0 magnitude earthquake that hit close to Vancouver Island, British Columbia, in the year 1700. The quake caused a tsunami that affected the east coast of Japan, and several Native American tribes in the region have oral traditions that speak about a giant earthquake as well as a tsunami-like flooding event along the West Coast. 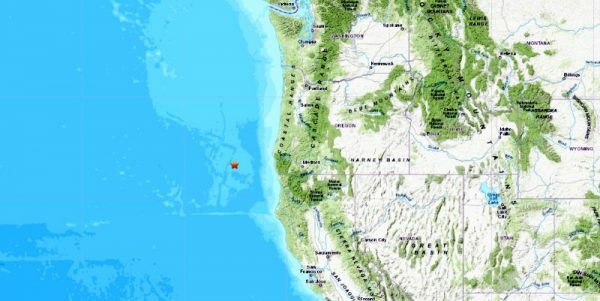 “This geologically active region, the Cascadia Subduction Zone, not only hosts erupting volcanoes but also produces megathrust earthquakes capable of generating devastating, ocean-crossing tsunamis. By comparing the tree rings of dead trees with those still living they could tell when the last of these great earthquakes struck the region. The trees all died in the winter of 1699-1700 when the coasts of northern California, Oregon, and Washington suddenly dropped 1-2 m (3-6 feet), flooding them with seawater,” the Pacific Tsunami Warning Center wrote.